As you may know, I didn’t grow up in rural America. I fell into the food supply chain after college – almost by accident. I consider myself lucky to land in the food industry as it is perhaps the most purposeful sector out there. I have devoted my career to analyzing how we will feed the 9+ billion people who will inhabit earth in my lifetime, while protecting the planet for the lifetimes after– including those of my three kids. I have had the privilege to work for incredible organizations with inspiring professionals. And, it feels like all of this has been but a preparation for today, when I get to be a part of the team that shares Kroger’s Zero Hunger | Zero Waste Plan. 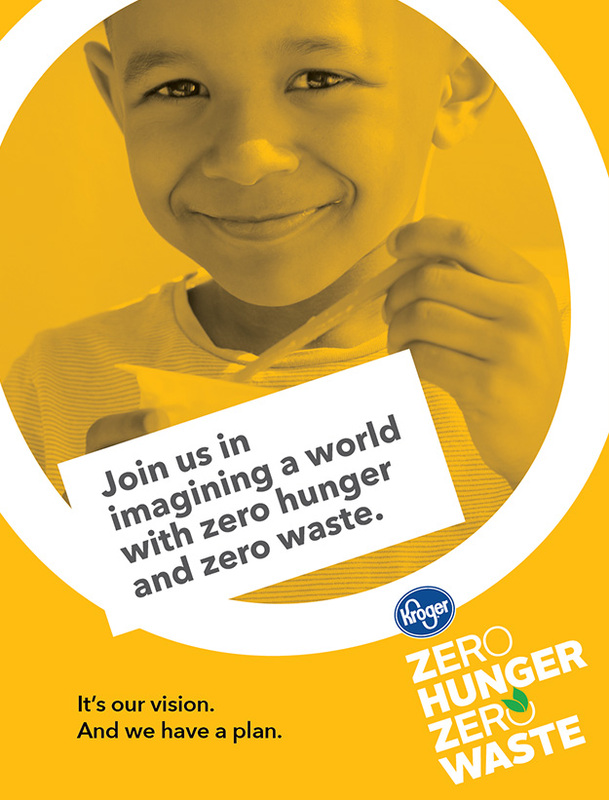 Zero Hunger | Zero Waste is Kroger’s bold new plan to end hunger in our communities and to eliminate waste across our company by 2025. 134 years in the grocery business has taught us at Kroger that meals matter. Families that share meals together have children who do better in all aspects of life. And yet there is a fundamental absurdity in the U.S. food system when 40% goes to waste but 1 in 8 Americans struggles with hunger. In fact, 1 in 6 children go hungry every day. Kroger is committed to making the world a better place. And our Purpose is to Feed the Human Spirit.™ To make a difference in others’ lives. At Kroger, we have the tremendous scale – the physical assets, technology, resources – and especially our incredible associates. We are a team of 450,000 strong, passionate people with a consistent track record of doing great – and hard – things. We know we have, can and will continue to make a real difference. We have established a $10 million fund within The Kroger Co. Foundation to provide grants for innovative solutions to help us achieve these goals. We will accelerate food donations – donating 1 billion meals by 2020, and 3 billion meals by 2025. By expanding our fresh food donation programs, we will not only donate more food but we will also donate more balanced meals to nourish our communities and promote healthy choices. We will drive harder to become a Zero Waste Kroger by 2020 – which we announced last year as part of our 2020 Sustainability Goals. We will involve outside partners to achieve a Zero Food Waste Kroger by 2025. We will advocate for public policy solutions at all levels of government. We will engage with partners who are experts in the field and can guide us – such as Feeding America and World Wildlife Fund. And we have teamed up with our colleagues at 84.51 to use big data, insights and analytics to help us identify where we can make the biggest impact. We don’t, and won’t, have all the answers. While we are clear about our vision, we are flexible about how to get there. And we know we can’t do it alone. It’s going to take all of us working together. As we got closer to our Zero Hunger | Zero Waste launch this week, I found myself with some trepidation due to the magnitude of our goals for Kroger and enthusiasm because our mission will be transformational for Americans across the country. So many of you have helped bring us to this day. I can’t thank you enough for being an incredible part of this journey. I hope so many more of you will be inspired by this vision, and help us achieve a world with Zero Hunger | Zero Waste. Follow us on www.thekrogerco.com #ZeroHungerZeroWaste.